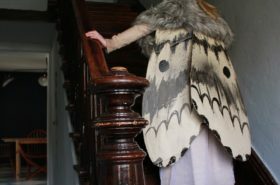 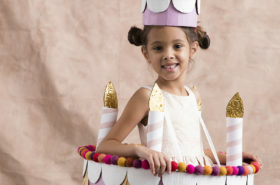 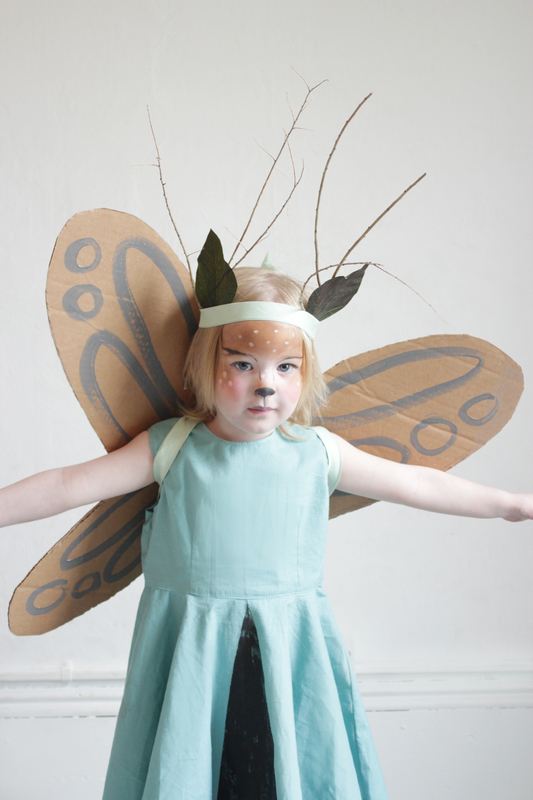 This year for trunk-or-treating she’s going as a llama, but for tricks-and-treats come Halloween night, well she insisted on being a fairy. 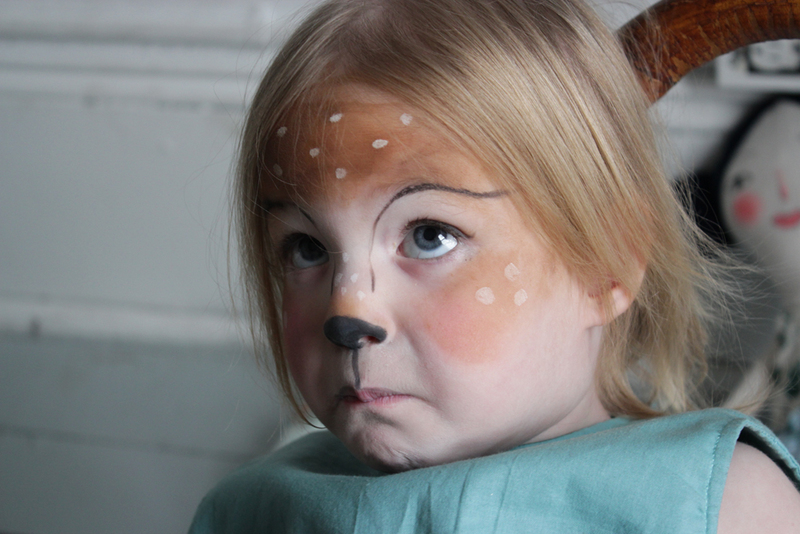 And being a huge fan of make-up (I mean really this girl is all out obsessed with all things pigment) we played around with some deer face painting (she was over the moon thrilled – not obvious in the photo above because she was trying to be so serious – but really she was in heaven). 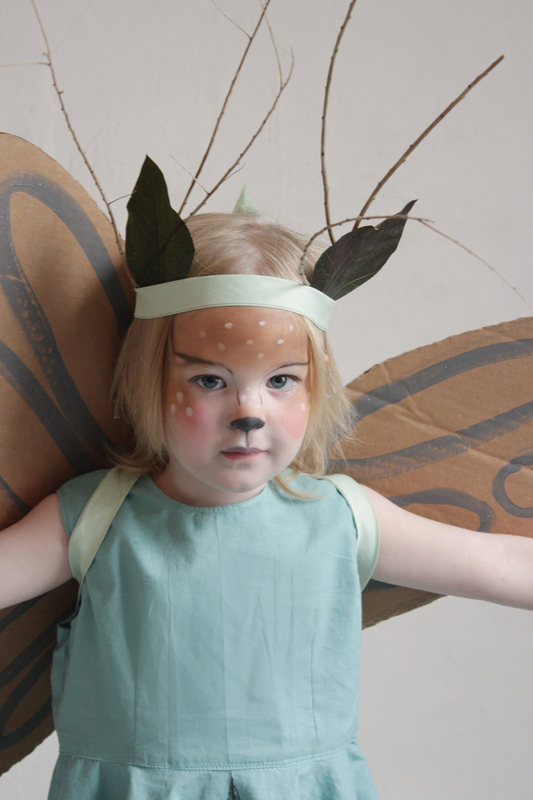 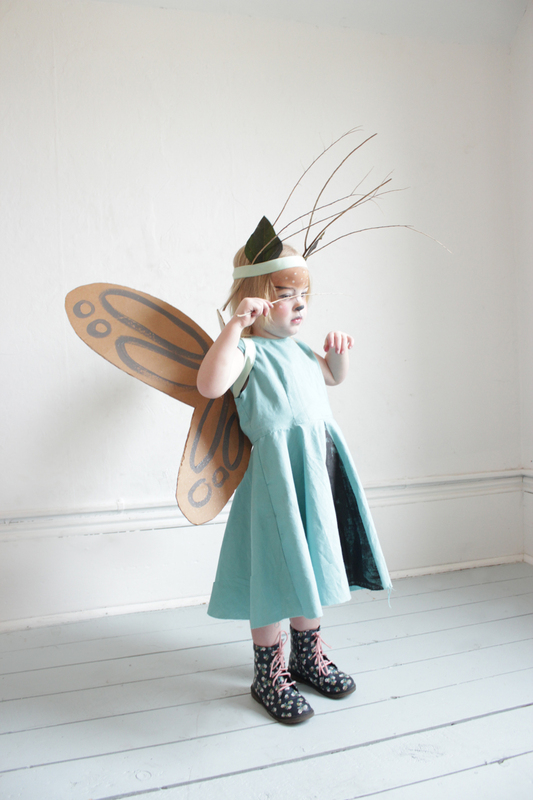 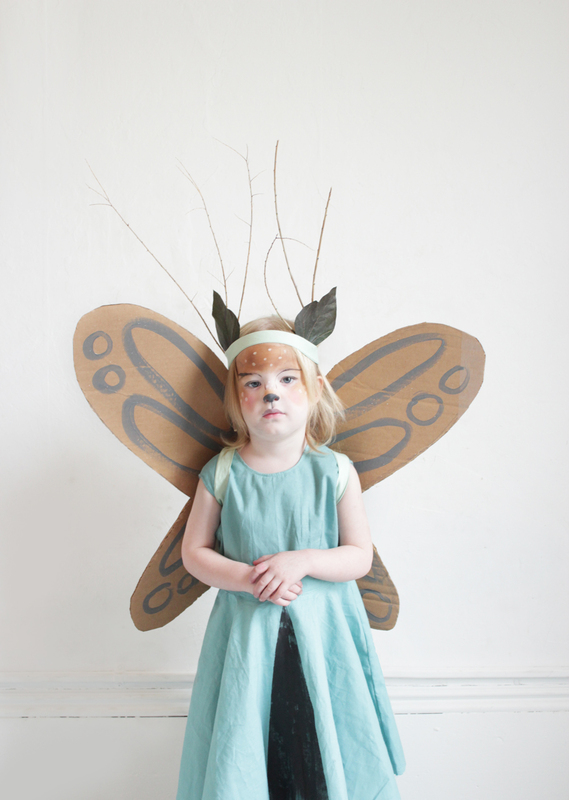 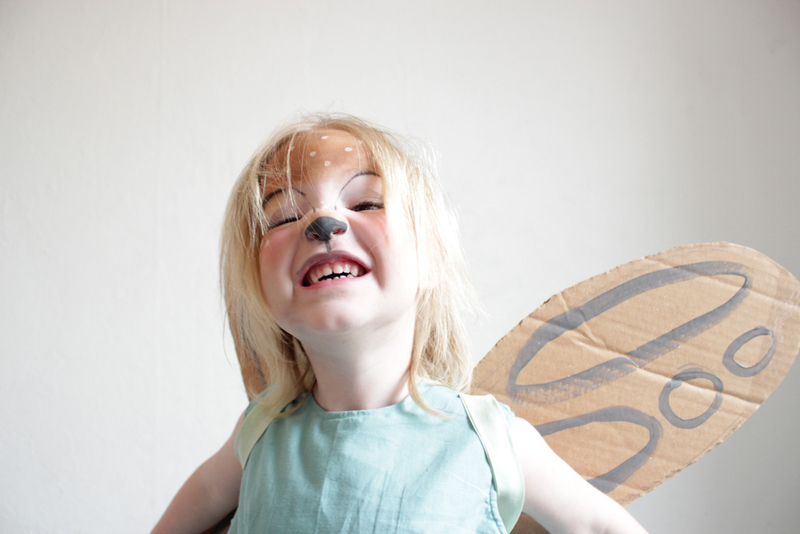 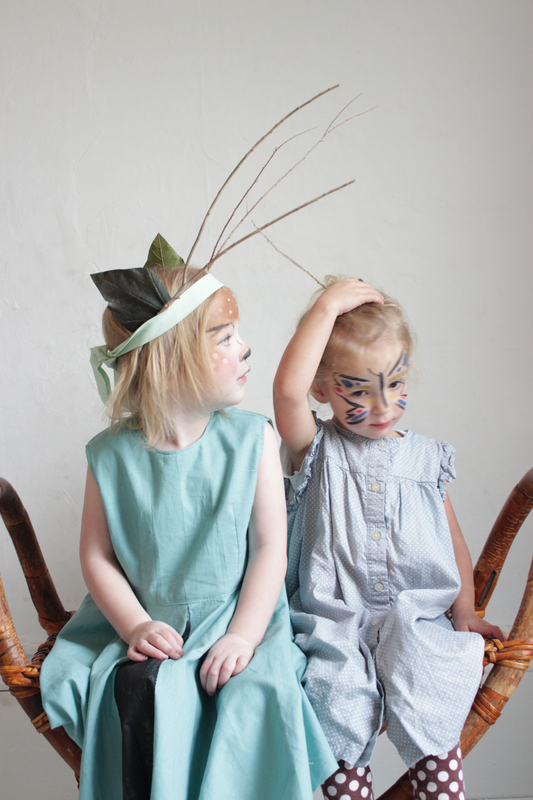 End result: A woodland deer fairy with cardboard wings, leaf ears and branches for antlers. 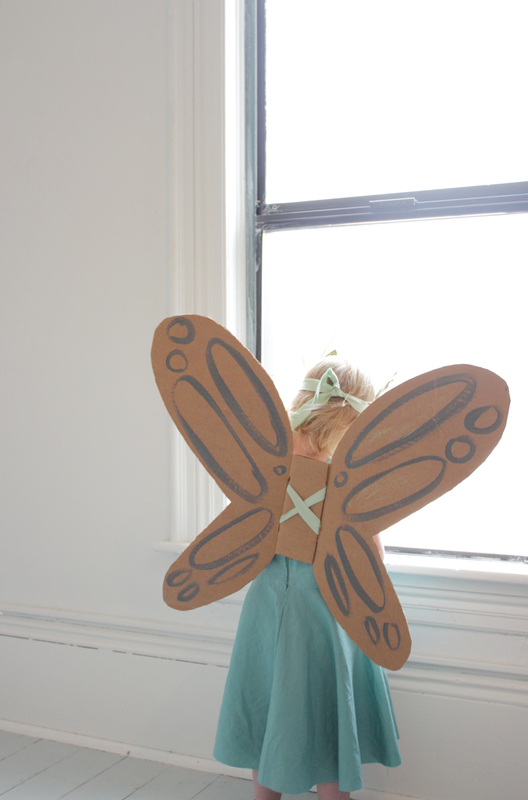 We made another set of cardboard wings (so easy and I really love making these – SO MUCH FUN) and then sprayed them with glitter (not obvious in the pics but fun to see sparkle in real life). 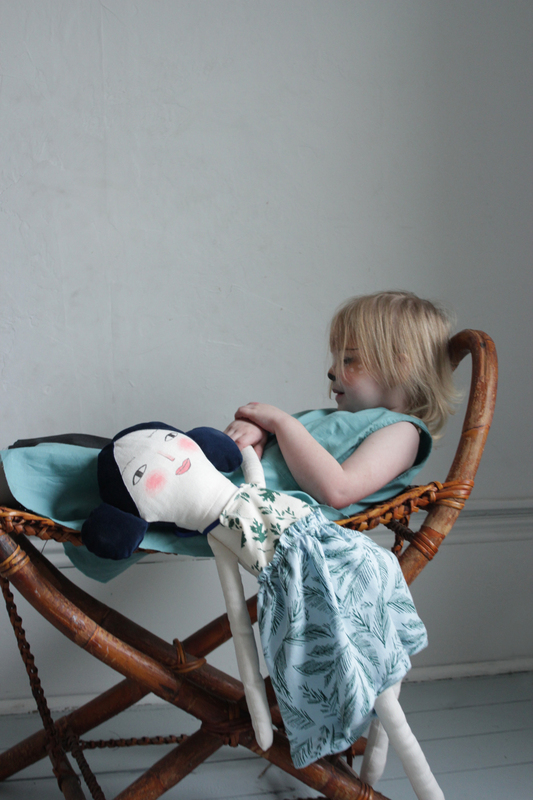 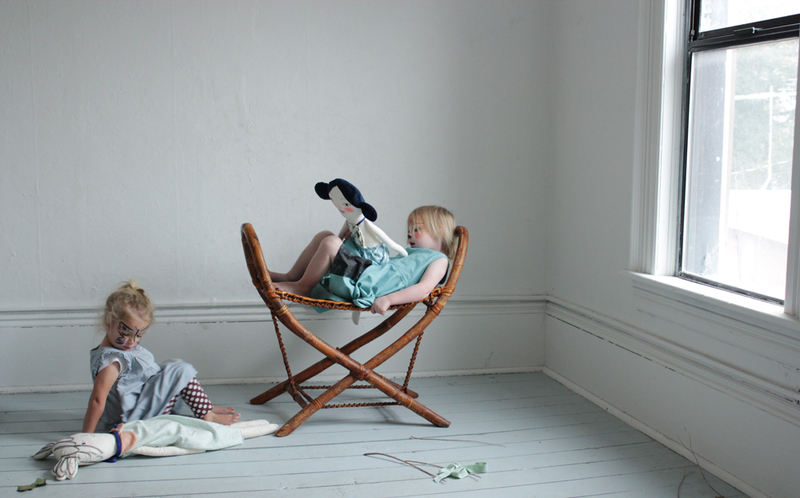 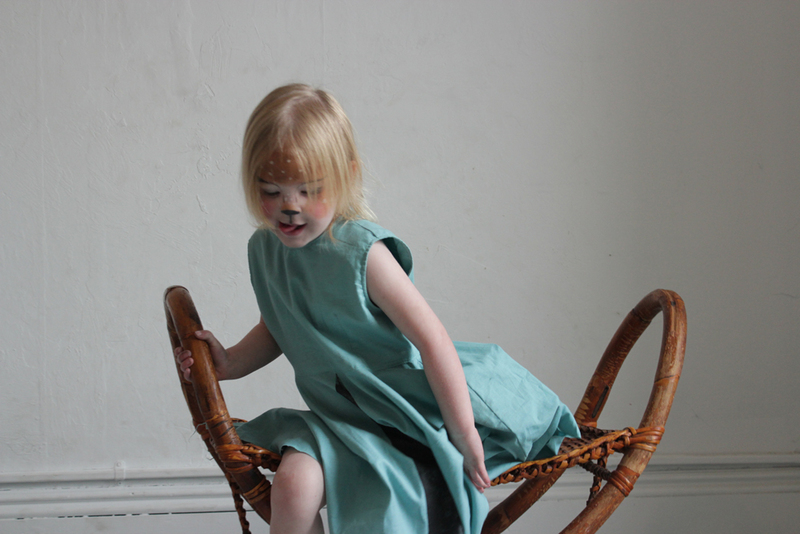 I made her dress and painted on a simple black triangle on the front skirt portion. 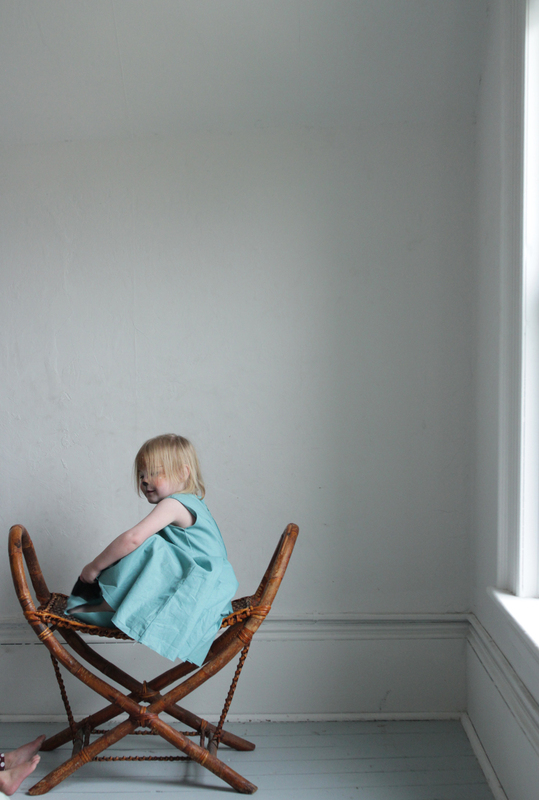 The dress is a tad big but I like how flowy it is and that she’ll be able to wear it for at least another year or so. 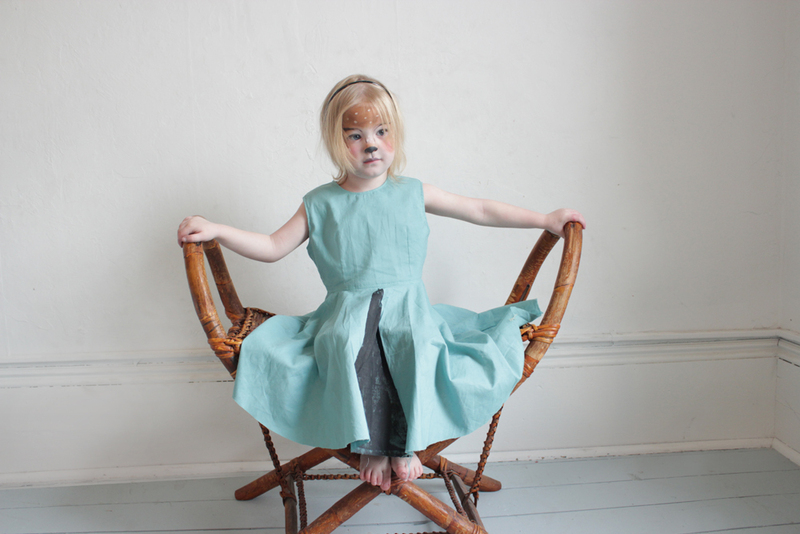 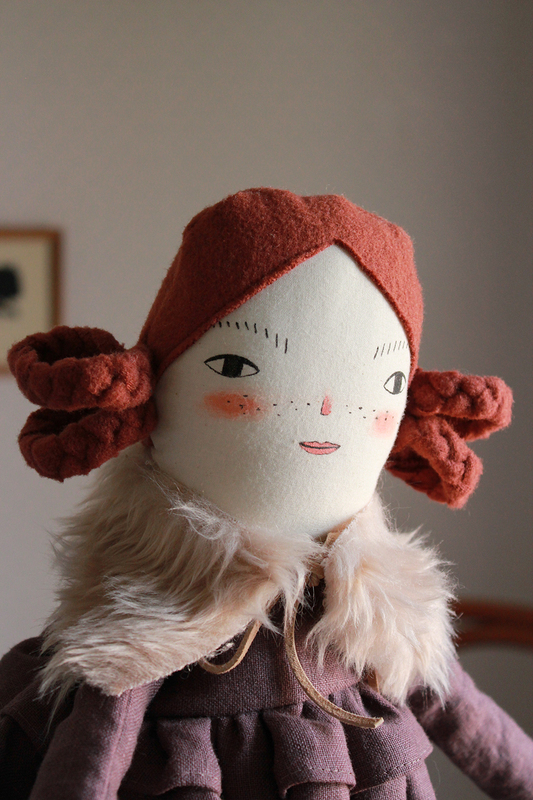 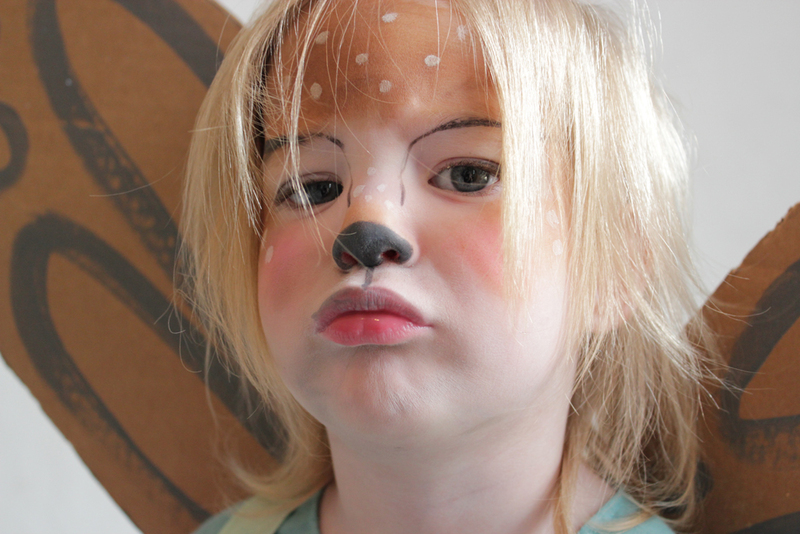 We looked at a number of deer face makeups for this design. 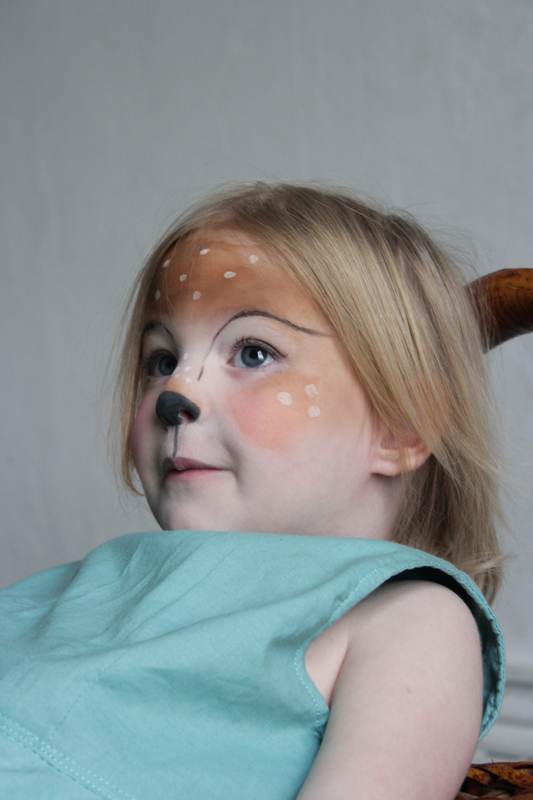 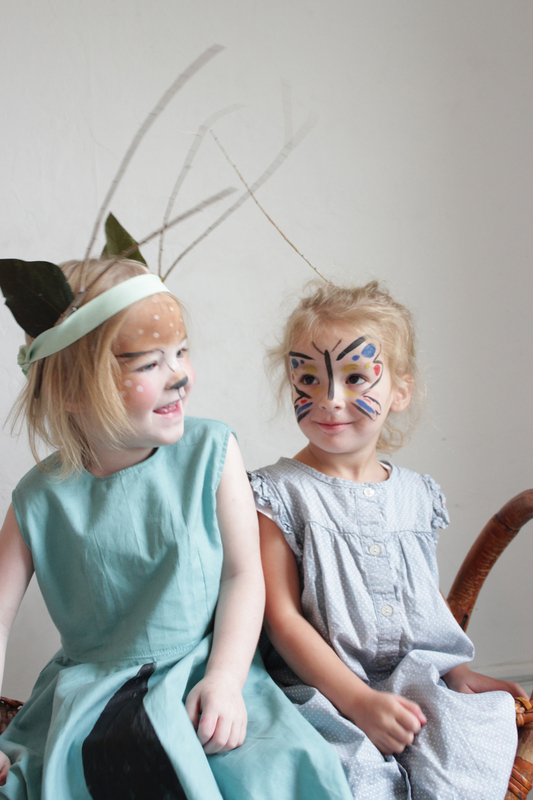 I know the deer face paint looks is uber popular right now and really, it’s because it so darn cute! 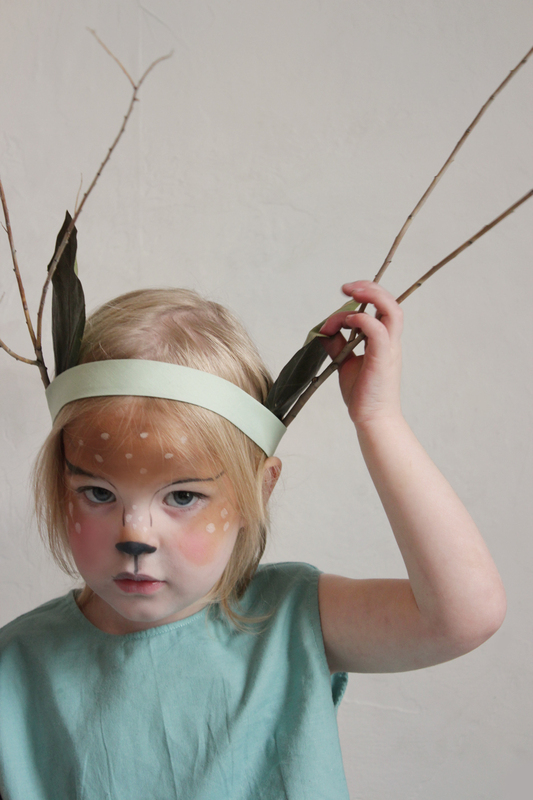 I might just have to be a mamma dear alongside her for Halloween night. 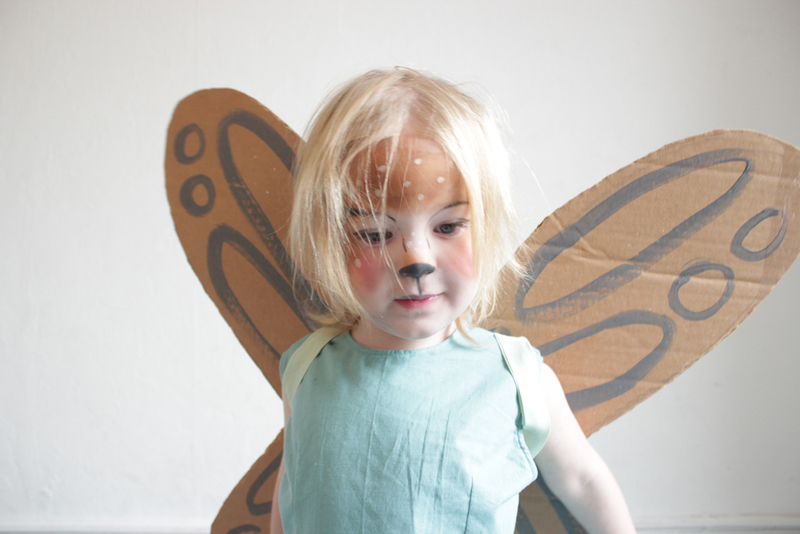 Obviously the wings and antlers didn’t stay on too long. 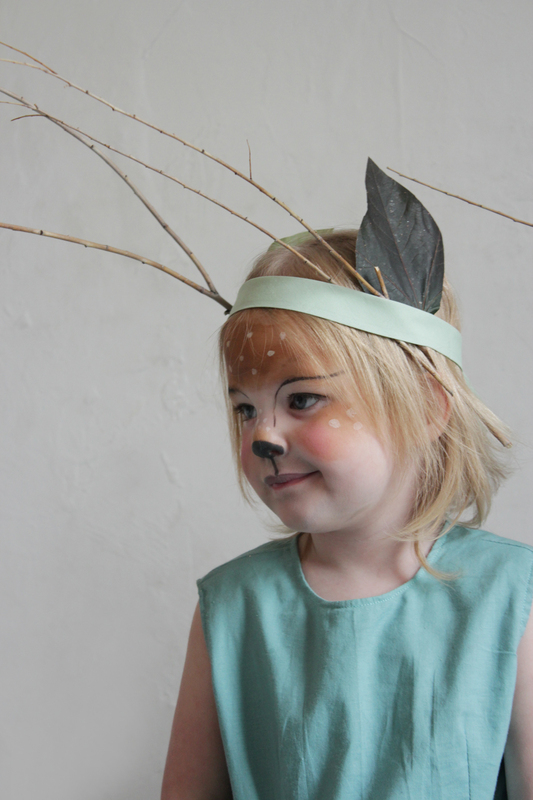 Might have to come up with a different solution for the antlers come Halloween knight but it was sweet while it lasted. 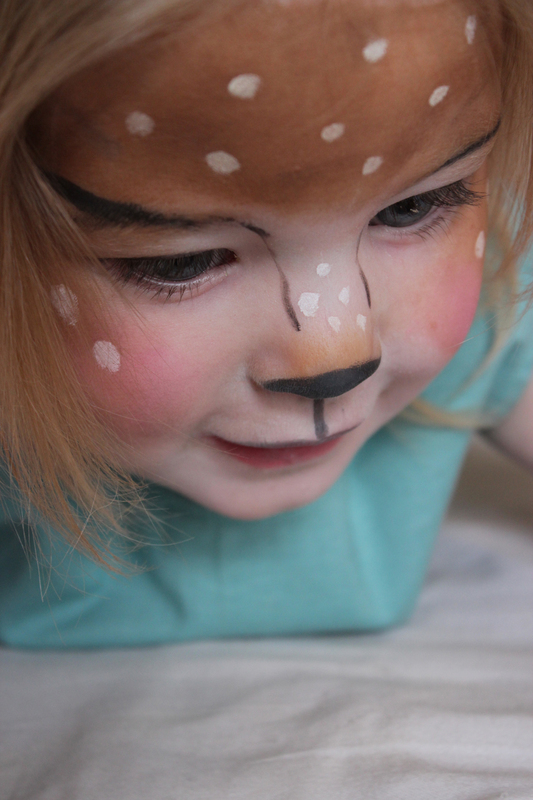 Her cousin Ava came over and we turned it into a face painting playdate!